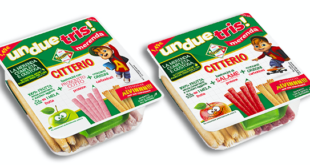 The new deal will see the hit property launch its its own branded range of UnDueTris snacks in supermarkets and hypermarkets across Italy. The reboot sees the franchise and Alvin, Theodore, Simon and the Chipettes return to TV after 20 years. Alvin and the Chipmunks and Rio to come to life on stage.